I kept waiting for the pace of A Beautiful Poison to slow down and get boring, and it never did oblige me. I have this (unreasonable) (unsubstantiated) expectation that historical fiction = slow and quiet, but this book was NOT that. Mayhap I should rethink my assumptions? 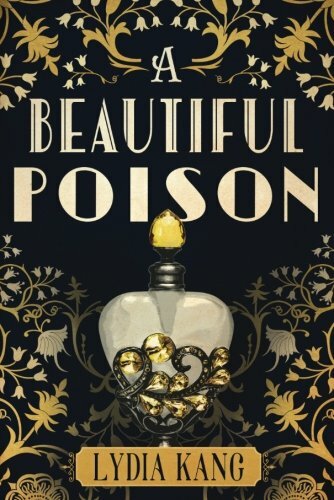 Lydia Kang has plucked from history the perfect setting for a murder mystery: 1918 New York City, during the influenza pandemic. Because what better way to cover up the fact that you’re poisoning a bunch of people than to do it when people are dropping like flies already? Allene, a wealthy socialite, notices that people connected to her and her two childhood friends, Jasper and Birdie, keep turning up dead under mysterious circumstances. They decide to investigate the crimes in hopes of unmasking the killer, but they’re going to unmask a bunch of drama and secrets from their own pasts in the process. That’s what made this story so appealing to me—the character development when it came to the three main players. Allene is a spoiled, entitled princess who can be remarkably obtuse in the face of her friends’ poverty and desperation. The three friends had a falling out and didn’t speak for several years, and though they’re reunited in the opening scene, the reasons behind their estrangement are murky, though sure to be juicy when finally revealed. Birdie is ethereally beautiful but constantly ill due to her job painting radium onto watch faces. (Knowing what we know now, the scenes of Birdie working away at the factory and putting radioactive paintbrushes in her mouth are cringe-inducing indeed.) And Jasper is the boy in between the two girls—half in love with both of them, it seems, which is a dynamic so tense it’s like a boulder teetering on the edge of a cliff. Come for the murder mystery, stay for the well-drawn setting and fascinating characters.